Below is a letter that has been doing some rounds online and it does not in anyhow represent GoXtra News. I am exasperated by the level of bastardization and utter degrading of artists who work tirelessly to reach levels of excellence within the arts fraternity in the Eastern Cape. I am writing this not as a member of the Nelson Mandela Metropolitan Music Association, nor a music executive, but as an arts activist and a human being who witnesses the pain and shame inflicted by people who are self-proclaimed figures of omnipotence within the music industry. Artists’ careers and dreams are usually stillborn or murdered in their infancy by among others, music promoters whom the industry has given statuses of indomitability. I am, in this instance referring to promoters who are organizing the Buyel’ekhaya Music festival, particularly the likes of Danny Mongo. This disrespectful, temperamental and narcissistic Mongo character seems to be trusted by government officials and politicians that ordain him to handle the business of arts in big festivals has proven to be an agent of mockery to the development of arts in the province. I have in the past crossed swords with him for advertising his event using the name of Take Note in his marketing material and radio advertising without having consulted them and without an intention of putting them in the line-up to perform on the day. His usual macho man persona has surfaced again, shamelessly causing devastation on young aspirants who not only make a living through music, but also have proven excellence within the Eastern Cape. To be specific, this Mongo character was given a list of artists who show excellence in the Eastern Cape by the provincial office of the Department of Sports Recreation Arts and Culture to form part of Buyel’ekhaya. He, because of his pettiness, decided to disobey government to settle scores with Take Note as he had not succeeded to fully isolate them from the former event. I’m asking myself as to how many good artists this superfluous self-absorbed character has managed to remove from the scenes. How many hopes and dreams has he shuttered? This Mongo character has never produced and promoted any artist like promoters such as the likes TMusicman and Sheer Music whom we can say are promoters who had promoted their own artists and have a proven track record. This chap seems to be nonchalant about, and oblivious to the fact that his actions have dire consequences which are antithetical to the objectives of the Mzantsi’s Global Economy and provincial plans aimed at developing and retaining artists from the province for them to contribute to the GDP of the Eastern Cape. People like him are part of the reason why most artists see the province of the Eastern Cape as an enemy to them and a hindrance to their growth and development. I am pained and angry because it is disheartening to see young artists enthusiastically investing long hours of rehearsals; buying costumes for the festival from their pockets; employing session artists and paying their rehearsal fees from their pockets because a promise was made and everything was appearing sorted from the side of the Music division of the Provincial Department of Sports Recreation Arts and Culture, to then be told by the department that the promoter has called and confirmed with other artists and it appears that we just have to give up. I am pained because the the hurt, disappointment and anger that I saw in some of these young musicians' eyes reflected excruciating levels of helplessness and defeat which I cannot even comprehend. The arts industry cannot allow these people to monopolize the industry in the manner they are doing now. 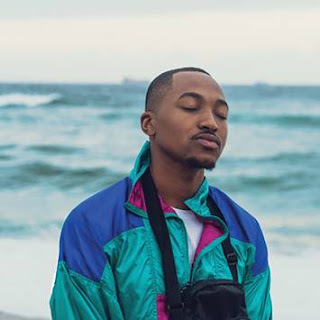 People like Mongo need to be taken down from their thrones by any means necessary to ensure that the Eastern Cape music industry flourishes to claim the space that it deserves. 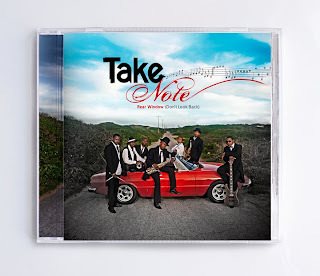 Thandile (Take Note) - Click here to contact the band.